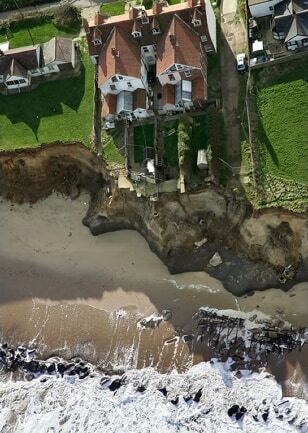 Storms have eaten away at beach property in Happisburgh, England. The Cliff House, top center, now stands only about 15 feet from the edge of the cliff. A garage, several bungalows and a small road behind the house were taken out by the erosion.